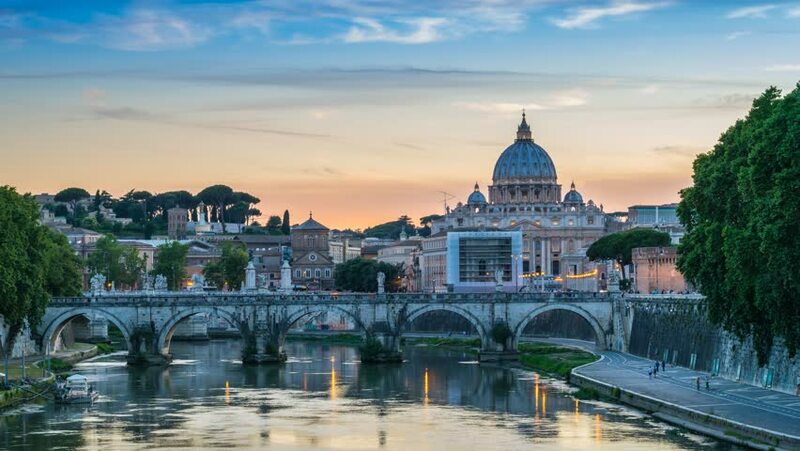 4k00:12Timelapse (time lapse, time-lapse) of Vatican city at sunset with Tiber river and Saint Angel's bridge (Ponte Sant'Angelo) near Mausoleum of Hadrian. Rome, Italy. April, 2016. 4k00:18Scenic view of St. Peters Basilica in Rome, Italy, at sunset. Day to night transition timelapse. 4k00:31Time lapse in 4K of Cityscape of Rome at twilight to night. with San Pietro cathedral, Sant'Angelo bridge and Tiber river illuminated by city lights of Roma in Italy.